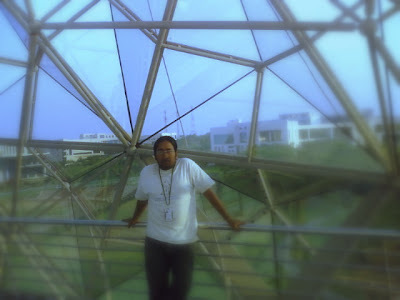 This time around my trip to Mysore was nothing less of a mixture than a bollywood flick. 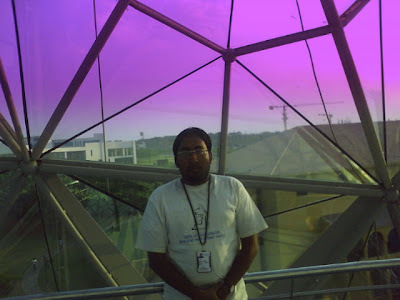 First, I have to travel to Bangalore to Mysore via bus. But where the bus stand in Bangalore is, am referring to interstate bus terminal as most of the cities have in India. Travelling alone is the last thing on my preference list, and to bring a bike from Mysore to Bangalore, I needed a friend, or anyone for that matter. The choice was anonymous, it had to be Rajat. Ever ready to travel anywhere has a lot of head other than hair. So called him to confirm if he was, and as always he was. So we decided to leave on Saturday morning (3rd March, 2005). Now I stay in HSR and Rajat in BTM , we had a bike but whom to reach who , so I requested a roommate to drop me to B.T.M. ,which he did. The only worry was that the person who was to take the bike back after I got off at BTM did not know how to drive the bike properly ,and it is learnt a Ford Ikon survived his driving skills. So now let’s go to majestic to catch the bus , but the auto driver himself told us the Volvo does not go from majestic anymore and took us to some other place and then told us that Volvo will go in evening. I wanted to get off and slap the person right away for being so mean, and then I asked the driver to drop us back to majestic , but he insisted there is another place where bus will be available and it is just 2 Kms away ( which was actually more than 8Kms). I was very anfry when we got down , and just told the person when I got down that all penny charged dishonestly , he will be punished. Sounds stupid , ask my friends who will tell you how powerful I can be in certain situations. When we finally reached the place , we came to know that Volvo comes from majestic , and that person who wanted to earn some 40 extra bucks ( diff in fare at majestic and place we got down) got so much cursed. Well , if that was only sad incident in the whole journey, then I would have gladly travelled with Rajat each and every time. There is an associated bad luck with every bad luck. The bus we got from that station was nothing but a pathetic fully air conditioned (don’t mistake it with technical ACs , it was full open , all broken windows , torn seats and international quality shockers system ) and speed that will send Ferraris and BMW to Pits ( my God , even Tempo was overtaking the bus). Finally we reached Mysore ,thank God have been to gym nowadays , else my back would have been a history. Then after reaching Mysore , as soon as I reached my home , I can see to the delight of my eyes , my Discover 8844, the number seems so good., the bike so mine and above all , ever so friendly and soothing Mysore , possibly the best Indian city in terms of scenic beauty and climatic conditions. Morning time so I took the driver’s seat. Whew …. Get Set Go … and we were off to flier … morning breeze … empty roads (those who like me are in Bangalore can really appreciate traffic free roads) … the biking was as always it was on Bangalore Mysore highway …. 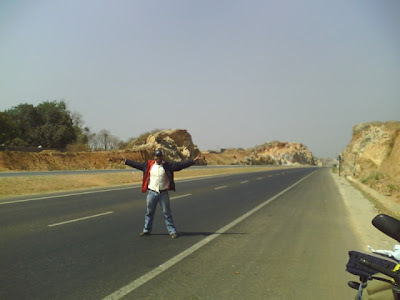 Full speed … 100 kmph … and what more … regular breaks kept us moving. Then there was a Volvo bus we overtook .. this was our inspiration for rest of journey cauz whenever we stopped for a break the Volvo would cross us , and we would then overtake it … waving a hand each time at that smiling driver who also took the compition and tried to overtake … but with Rajat in driver seat … ha haha … one must be joking . Discover “ hawa se baatein ker rahi hai ” (Discover is flying with speed of wind) … There is this one incident which I should have mentioned .. lets see what it was ..... 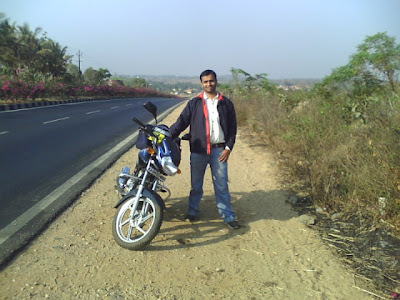 When we started from Mysore to Bangalore , Rajat told me not to drive above 70kmph , and I say I’ll try. Then as soon as we reached the highway , the speed of 110kmph was reached in flick of eyelid. 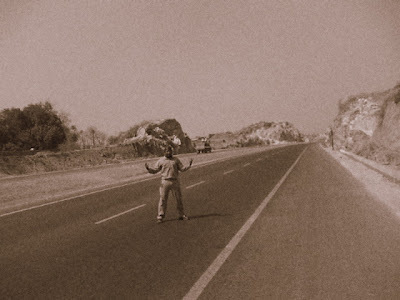 And to believe it must be joking , Rajat put a hand at my shoulder indicating me to slow down, but I continued. As we crossed Mandya ( why is it I only drive in that stretch where people would barge in the vehicles as if holding a lisence to suicide or to create accidents. Soon after this Rajat got to driver seat and then , what the hell was 70 Kmph , he regretted his decision and told me afterwards that driving at 60-70 kmph would be an insult to this wonderful , butter smooth highway , or should I say fligh-way. It was at Mandya we first crossed that Volvo , and the last stop ( he hehe .. me also talking in bus-wallah language) was at a road side dhaba where we stopped for a small tea. 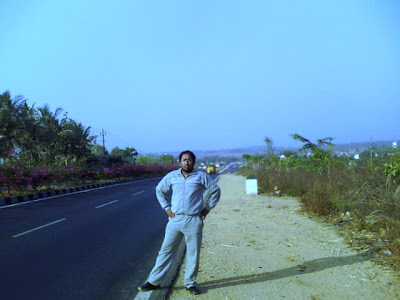 And as I looked across , I saw Rajat standing at the high way , looking in the direction of Mysore . any guesses what was he looking at … a Volvo passed by , I was 50 metres away from him , and told him to have his tea. He said he was looking for …. Well .. Volvo just went by I told him … nah .. that was not the Volvo we are looking for .. for the one which was always there .. came speeding down at the same time when tea was ready … and this time around .. the driver waived a hand …..
And we were still thinking to catch it after we left after a gap of 10 min , but for this was not to happen , as we had already reached the city limits, and the bus would have disappeared in the long formidable Bangalore traffic , as I turned round for the outer ring road to the final destination …. Home Sweet home. 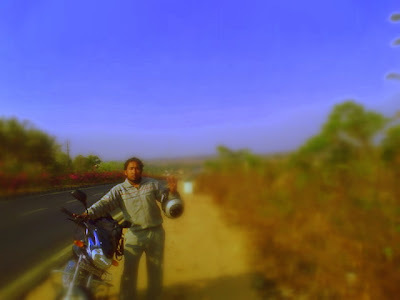 But it still was a 24 hour event ful journey , my sixth trip to Mysore and back on bike … with Rajat for a second time ..